⋯ (June 12, 2008) - The Imaging Source has massively extended its line of industrial cameras. The new catalog contains the complete spectrum of products, including more than 100 brand new GigE, USB 2.0, FireWire and zoom cameras. The cameras are available with CMOS or CCD sensors with resolutions of VGA, XGA and SXGA, up to 2 megapixels and ship in robust, industrial housing. Optionally, some cameras are available with a trigger input and I/Os to control external devices. The zoom cameras have an auto-focus and allow all camera parameters and functions to be set from the shipped software. The catalog also contains details of new ring light and back light systems. Their integration into new and existing software projects is particularly easy thanks to the shipped software and PlugIns for HALCON, ActivVisionTools, TWAIN, LabView and MIL. 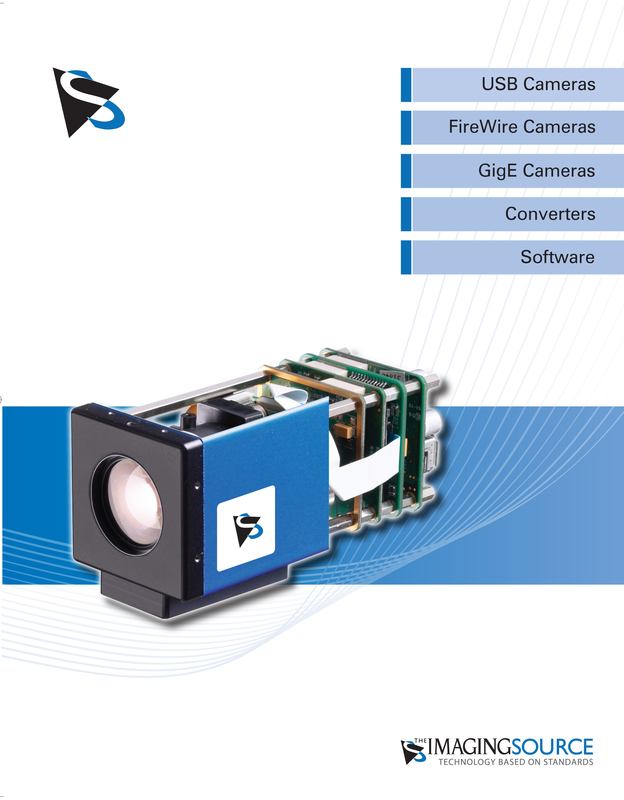 Industrial frame grabbers, USB 2.0 and FireWire video converters, optics, accessories and high performance image processing software round off the catalog.